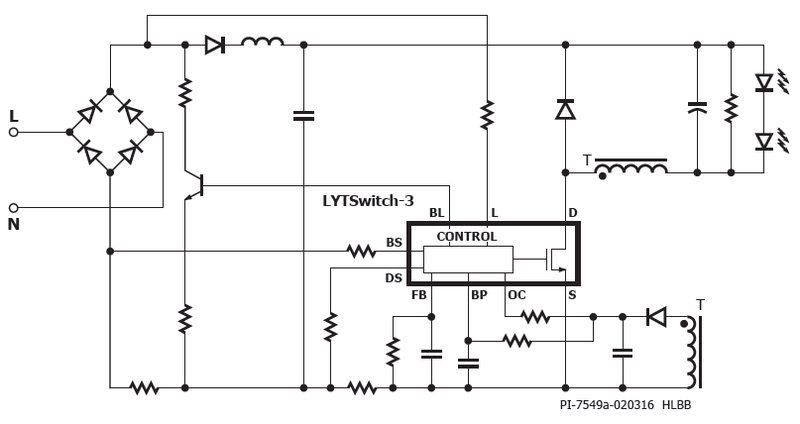 The LYTSwitch™-3 family is ideal for single-stage power factor corrected constant current LED bulbs and downlighters. Each device incorporates a high-voltage power MOSFET and discontinuous mode, variable frequency variable on-time controller. The controller also provides cycle-by-cycle current limit, output OVP, line overvoltage, comprehensive protection features, plus advanced thermal management circuitry. 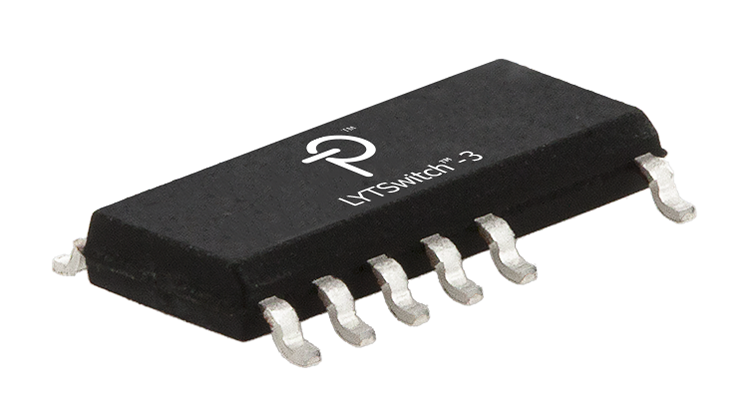 All LYTSwitch-3 ICs have a built-in TRIAC detector that discriminates between leading-edge and trailing-edge dimmers. This capability together with load monitoring circuitry regulates bleeder current during each switching cycle. The controller disables the bleeder circuit completely if no dimmer is detected, significantly increasing efficiency. The combination of a low-side switching topology, cooling via electronically quiet SOURCE pins and frequency jitter ensure extremely low EMI. This reduces the size of the input filter components – greatly reducing audible noise during dimming. The part numbers shown in Table 1 describe 4 different power levels and two MOSFET voltage options to cost-optimize designs while EcoSmart™ switching technology insures maximum efficiency for each device size and load condition. Maximum practical continuous power in an open frame design with adequate heat sinking, measured at 50˚C ambient (see Key Applications Considerations for more information). "x" digit describes VDSON(MAX) of the integrated switching MOSFET, 650 V = 1, 725 = 2.